<h1> "Oblivion Terror" x "Craving For Existence" x "Physical Linkage" x "Impermanence" x "Physical Photography"
In the belief that the elementary particles of light which once "touched" the subject that you wish to preserve remain on a light-sensitivity surface such as a silver plate, a glass and a film sheet, he is trying to establish a "Physical Linkage" with transitory worldly. Life is impermanence. "Impermanence" (Sanskrit: Anitya, Japanese: 無常 mujō) is one of doctrine in Buddhism. But, he takes a photo to resist this truth. There is an undercurrent in his mind, which is the essence of photography is to assure our live's consistency. This strong sensation is based on following his faith, "All living things leave offsprings, which is the principle of all living things. However, through the Cognitive Revolution, only human-being acquired thinking. In other words, human-being should have met with the Oblivion Concept. Since the antiquity to the present day, human-being has always tried to leave a trace of self in various means to resist "Oblivion Terror". Therefore, this unconscious tide constituted the source of photography. However, there is another relevant word in Buddhism to the essence of photography, assuring the referent's existence. It is "Craving for Existence" (Sanskrit: Bhava-tanha, Japanese: 有愛 Uai), which is one of three types of Taṇhā identified by the Buddha. This craving is for immortality and trace of oneself after death, and photography fills the craving. Buddha identified these cravings as the root causes of suffering, whereas it is very hard to extinguish the flame of craving: the ego always keeps to desire photography. That is especially why he mainly try to use daguerreotype, collodion process and film photography. He has called these processes "Physical Photography" as a retronym to compare with Digital Photography. The essence of Physical Photography is that its state of ageing with time gives us an opportunity to experience impermanent beauty. In short, he is trying to face the self-contradiction through physical photography, yet the suffering will not end unless he stops photographing. Born in Tsushima City, Aichi, Japan, in 1991. Grown up as the 4th generation of a family-owned photo studio. Working in mainly Japan and Korea. 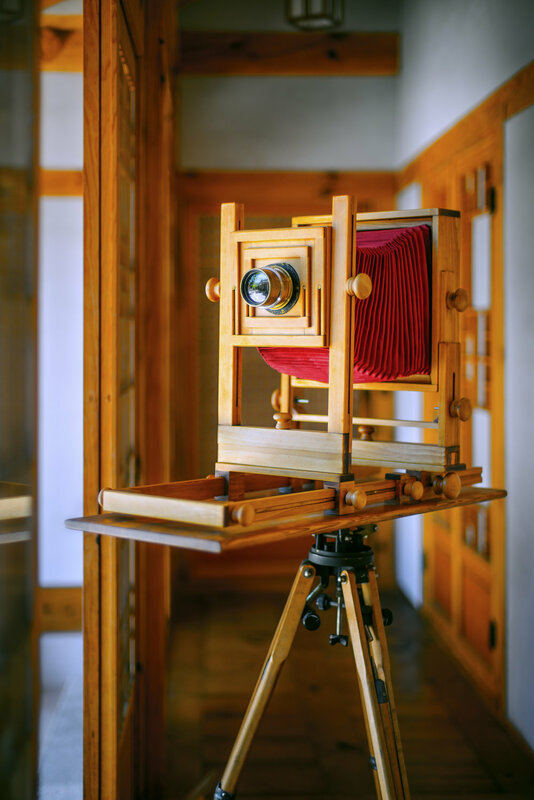 He has mainly shoot Daguerreotype & Wet Plate Collodion & Dry Plate Collodion with his hand-made Urushi-coated wooden large format camera since 2015. 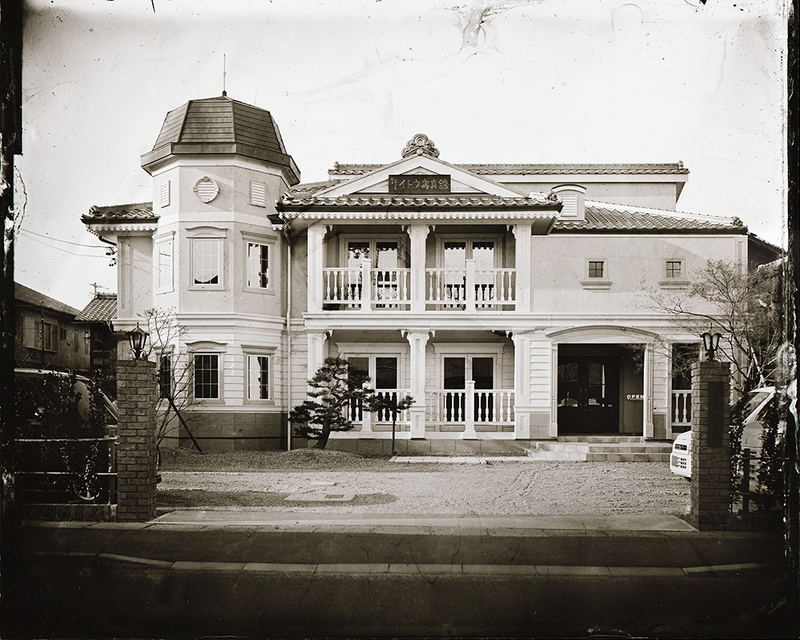 [fade]Currently, he is organising the world-first photo studio which is able to shoot from Daguerreotype to Digital in his family-business photo studio in Japan.